I was very excited to be allowed to photograph extinct insect specimens at the Bishop Museum in Honolulu, thanks to Jim Boone, entomology collections manager. After I finished at the museum, I flew to the Big Island to photograph the ocean and rocks and volcanoes. It was one of the most amazing places I’ve been. 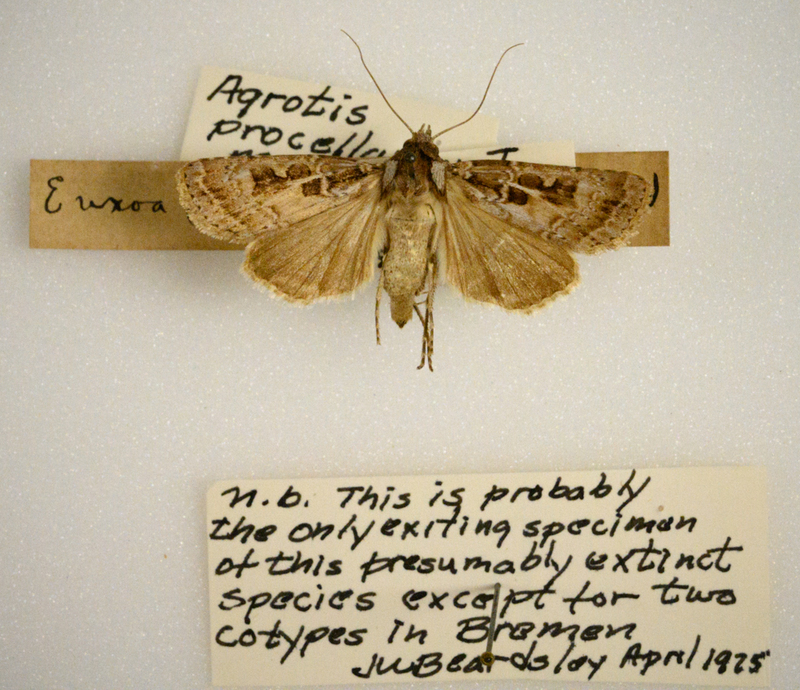 Agrotis procellaris, or Procellaris gratis noctuid moth, very likely extinct. Many thanks to Peter Oboyski at Essig Museum at UC Berkeley for granting me permission to photograph specimens of extinct insects at the their collection. It was wonderful and dismaying to see the beautiful creatures that no longer exist on this earth. Here is a photo of the beautiful Glaucopsyche xerces, or Xerces blue butterfly, wiped out in California in the 1940s by habitat destruction. 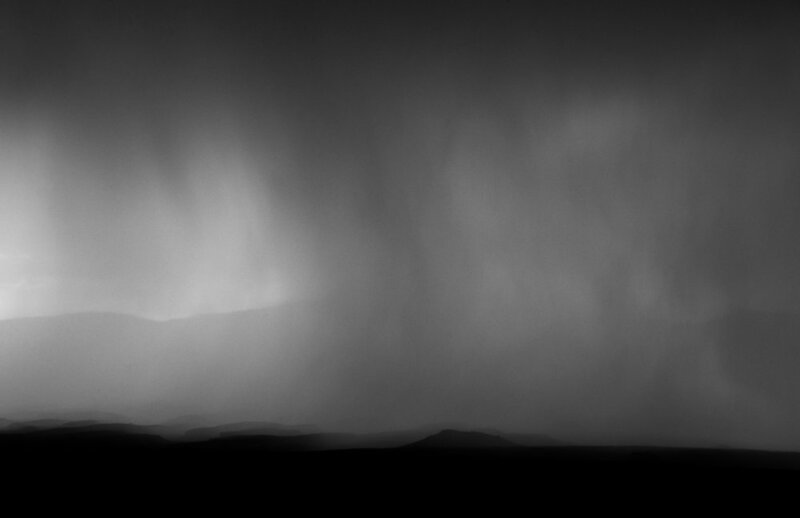 I’m still experimenting with ways of printing this project, so this is my straight photograph. I’ll likely be printing using a handmade Japanese paper and gold or palladium leaf. For the third year, I was lucky enough to participate in Alchemy Studio’s Spirit into Matter workshop in Benabbio, Italy. 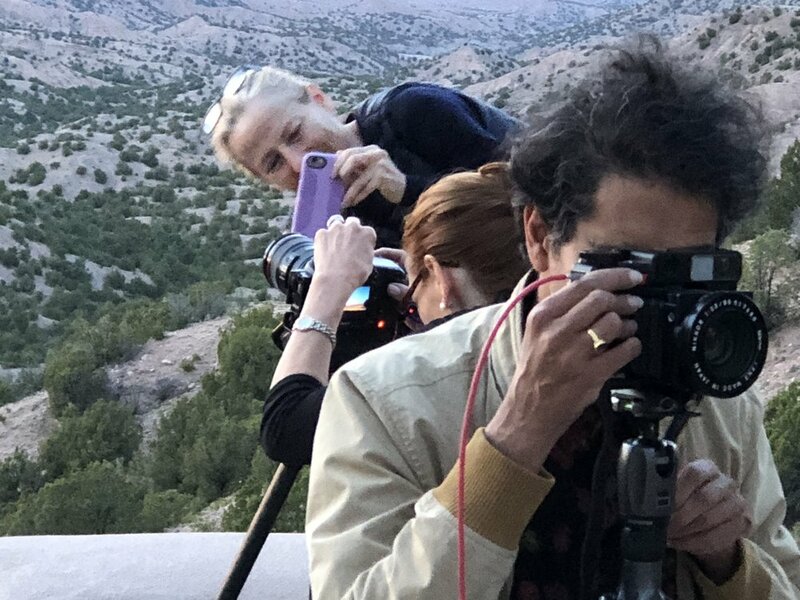 Hosted by beautiful people and artists, James Hajicek and Carol Panaro Smith, the workshop allows photographers the time and space to focus on their work. I always accomplish so much there, from capturing new images, editing groups of photos and making artist’s books (with thanks to Jace Graf). It’s an immersion in art, away from ringing phones and all the duties of daily life that interrupt the creative process. It’s always sad to leave. I’ve started work on a new project in which I’ll photograph critically endangered and extinct insects at museums. With this project, I hope to mark the lives and passing of often overlooked species, to emphasize the importance of biodiversity and the link to human life, and to raise awareness of actions we can take to promote insect survival. I’m working on permissions to photograph various collections, and have had some success. Scientists believe we are witnessing massive extinctions of insects, and I want to serve as a witness and documentarian of this sad state. There are millions of insect species in the world and not enough entomologists or funding to record them all, and certainly not enough resources to document the loss of entire species. But I can gather information that is known, from many museums, into a photographic record. I hope to add my voice to the many scientists, photographers and writers who have been and/or currently are documenting the loss of animal life: Joel Sartore, Tim Flach, Jonathan Baillie, Susan Middleton, Cristina Mittermeier and Nick Brandt, to name a few. And then there are literary heroes: Henry David Thoreau, Rachel Carson, John Muir, Ed Abbey, Annie Dillard, Bill McKibben, Wendell Berry and the great scientist and writer E.O. Wilson. I’ll be traveling to James Hajicek and Carol Panaro Smith’s Alchemy Studio Spirit Into Matter workshop in Benabbio, Italy, this week, where I’ll work with Jace Graf to make some beautiful accordion books for this project. At the moment, I’ll be including images I’ve been shooting in museums over the past couple of years, just to illustrate what I imagine this part of the project will look like. I was very excited about being chosen for Critical Mass 200! I didn’t make it to the top 50, but my good friend Vikesh Kapoor made it, along with other friends and many other very fine photographers. My photograph "Romance" was chosen by juror Richard McCabe for the 24th Juried Members' Exhibition at the Griffin Museum of Photography in Winchester, Massachusetts. Richard is curator of photography at the Ogden Museum of Southern Art in New Orleans. The show runs July 19 to Sept. 2. Romance, from the project "Liable to Disappear"
My daughter — composer and singer, Emily Cardwell — and I were chosen for an artists' residency in Norway with Light Grey Art Labs out of Minneapolis. We're collaborating on a multimedia project rooted in our concerns for nature, and we expect to finish the work by fall 2018. So many of the best things in this life are threatened because of the actions of humans: forests, oceans, wildlife. In fact, the future of our own species is unknown as the air we breathe and the water we drink are polluted; as wildfires, flooding and catastrophic storms increase; and as governments and many people ignore science and fail to take action. But even if humans persist, I wonder what the quality of life will be. I'm happy to announce this image was one of 35 chosen from nearly 3,000 entries to be included in an exhibit at PhotoPlace Gallery in Middlebury, Vermont, May 30 - June 23. Many thanks to the gallery and to juror Ann Jastrab! I've entered just a few contests until now, because it's so hard to get over the rejection letter. But you lick your wounds and try again. I found a contest by the Center for Photographic Arts in Carmel entitled "In Celebration of Light" and I couldn't resist. And then I was so surprised to find I'd won first place. I read the email through two or three times. The Center for Photographic Arts evolved from Friends of Photography, the historically important group of West Coast photographers that included Ansel Adams, Edward Weston, Imogen Cunningham. And the juror was Richard Gadd, director of the Weston Gallery. So I couldn't have won a contest that meant more to me. After deciding to free myself from the constraints of journalistic photography, I started working in my darkroom with different papers and materials, adding paint, gold and silver leaf, and text to prints. But I wasn't happy with the way I was shooting. I looked at the work of photographers whose work I admire and chose Keith Carter as someone whose style I wanted to move toward. I filled out a contact form on his website, asking if he might be willing to mentor me, and he kindly wrote back, saying he didn't have time for that sort of thing, but that I might want to sign up for his Santa Fe workshop. I did. The biggest takeaways for me were using poetry as inspiration for shooting and letting go of "the rules." The other thing I learned was how great if felt to get out of my little darkroom and out among other photographers. I'd been working alone for so long, I'd forgotten.